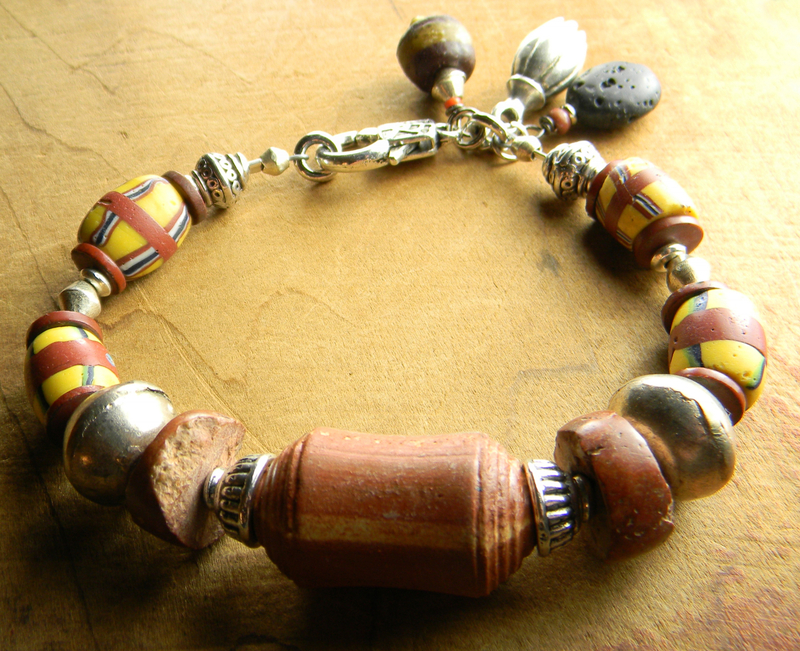 African tribal beaded bracelet with vintage Venetian French Cross trade beads, African silver and pewter. 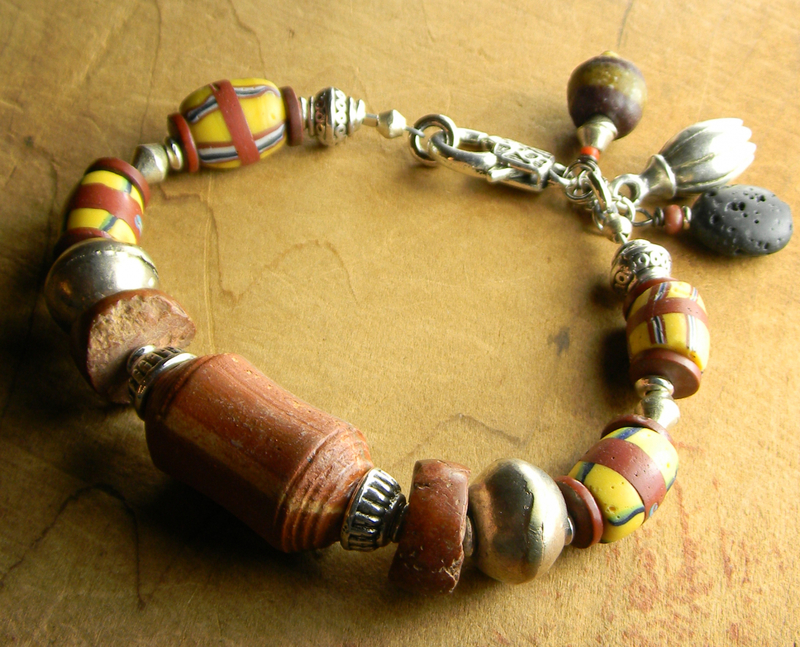 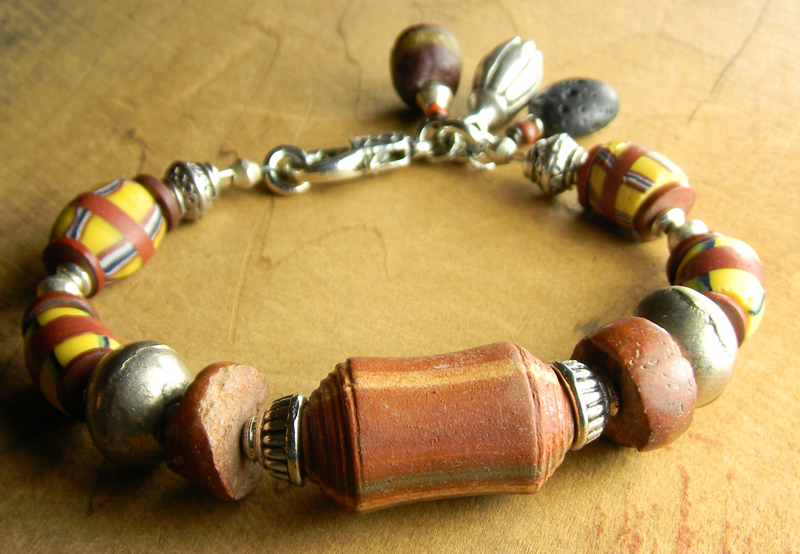 Pictured in Belle Armoire Magazine (Summer 2017), the center bead is a vintage artisan rusty red striped clay barrel bead from the 70s, along with large rusty red bauxite heishi beads, and a pewter lobster clasp. 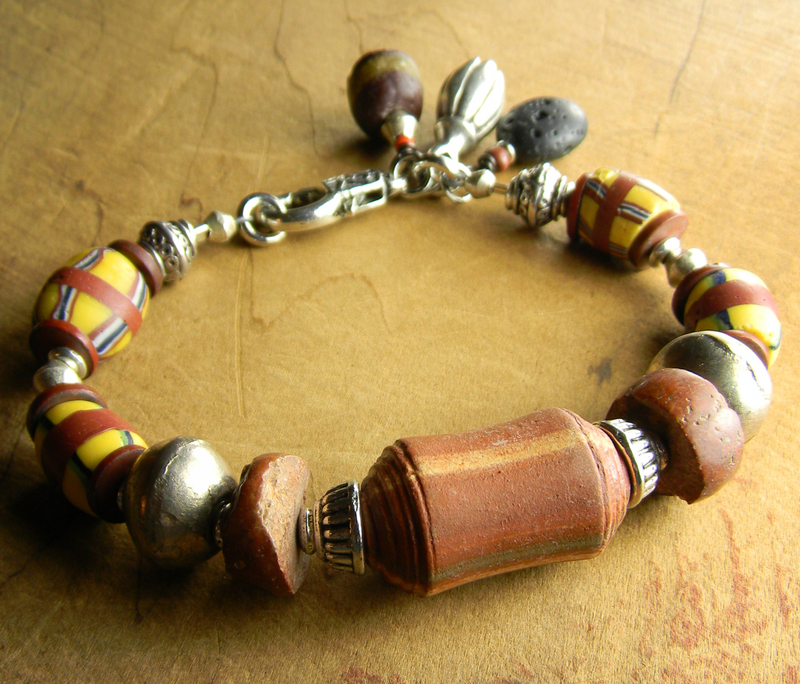 This bracelet with its large beads is designed to fit best on a larger wrist, 7 to 7.5 inches (actual wrist size).